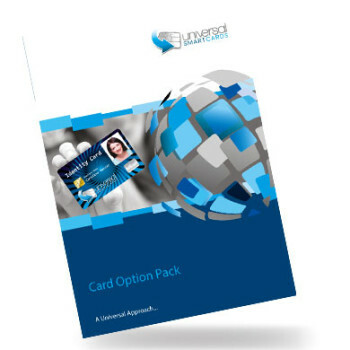 Our card option pack gives you an overview of the card types we have available, technologies and security features, as well as containing sample cards. It also provides an insight into card readers, printers and accessories. Please note: Card option packs are limited to one per customer and are subject to availability and approval.